After 3 months without being able to eat nice sushi we took advantage of our first night in an important city like Malmö to go to a Japanese restaurant. Phone: +46 (0)40 50 50 05. Price: Medium (170 SEK each). The restaurant is divided into 3 spaces. The main one is in the entrance and the reception of the restaurant being able to hold about 20 people; then we have the private area, which at the time I went was booked, so I couldn’t take a look at it; and the third one is the outside of the restaurant, where you can find diverse sofas and tables. 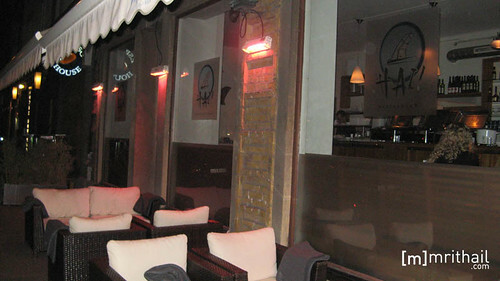 Despite the formal and family feel we can get from its website, the restaurant has a slightly chill out like decoration, accompanied by chill out music, dim lights and one candle in each table, making it very suitable for romantic dinners. Also, the general feeling of the place can be described as stylish. In the menu there isn’t a wide range of dishes, but we can find from the typical sushi and sashimi to soups, ramen, yakisoba, etc; The cheapest way to eat, is to order from the weekly and daily menu, but if you choose to eat sushi, it will be noticeably more expensive. In our case, we ordered a Sushi Go (250 SEK), consisting in 4 omelet nigiri, 4 prawn nigiri, 4 red tuna nigiri, 4 salmon nigiri and 8 uramaki chosen from the menu. Maybe it was because I hadn’t eaten sushi for months, but I found it quite good. We also ordered 2 eel nigiri (26 SEK each) which were a little bit disappointing, for they were small, cold, not very tasty and, as you can see, expensive. I haven’t tried other Japanese restaurants in Malmö (and there’re plenty of them), but truth is that I liked this one, specially for the ambient and the quality of the personal. The sushi was fairly good (except the unagi, as I previously said), but I would also like to recommend the weekly/daily menus, for they looked great. 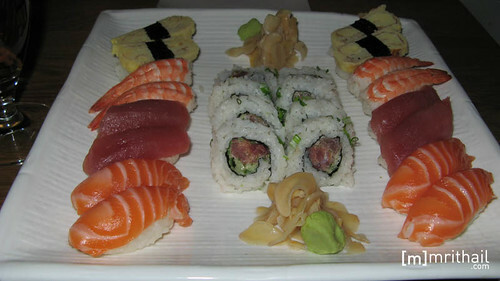 And do not pick individual sushi pieces, as their prices are very high. That Super Toro Aburi will taste better if you cut it in the same direction that the nerve. You’ll never know what Yakitate Japan can teach you! You should stop reading/watching Yakitate and begin studying… you’re in exams period!